When I offered to create a video about two women who enjoy their jobs and want to introduce others to the world of AmeriCorps ACCESS, I knew that viewers would enjoy their stories. One, Tanja, recruits volunteers. The other, Amanda, trains and support volunteers who teach or tutor English as a Second Language. She also teaches ESL! Each woman is enthusiastic about her role, and so I was confident that Amanda and Tanja both would “act” effortlessly. My only hesitation was learning just how to be a director and film editor—I had never created a video in my life! I started by playing with video editing software. When I first launched iMovie I didn’t even know how to create a new project. Caroline, who leads IH marketing initiatives, kindly pointed me to a few tutorial videos, but I was on my own. Here’s how I did it. By doing some quick Google searches I figured out the basics. It was helpful to watch some of the films that International House had already put together for programs like Rising Readers. Coming in with no experience, that research helped set the tone for the AmeriCorps ACCESS video. 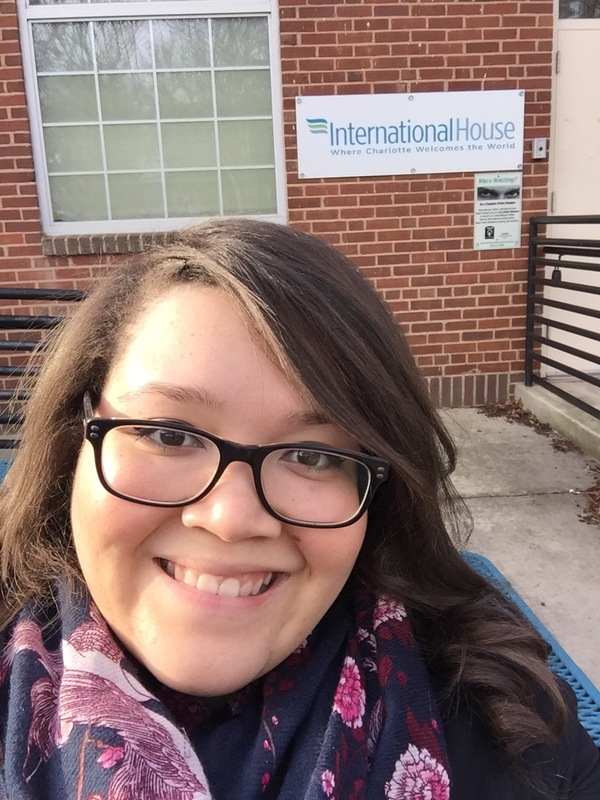 I wanted it to convey International House’s mission, show some of the organization’s programs in action, and of course, attract applicants to the open positions. Having interviewed both Tanja and Amanda earlier in the year for an issue of the Edu Crew Weekly Memo, I was looking forward to capturing their perspectives on film! Both of these women are so passionate about what they do, and I was inspired by their advice—I just knew that others would be, too. I had never done a film interview either, so that task had me a bit nervous as well! But, both Amanda and Tanja were great on camera and gave me some wonderful footage, all on the first try! Once I got the interview footage, photos, and script together it was really just a matter of piecing it all together. It was, again, a lot of playing around with features and options in iMovie. This assignment challenged me to do something different and also introduced me to new people at International House. When the project started to resemble a film, I reached out to Tien Le, who was interning as the IH Community Resource Navigator at the time and is well known for her skills in video editing. She gave me tips on how to make it all work. We’d never met before then, but she was fun to work with and her advice really made an impact on the final product! Once I became familiar with the software I really started to enjoy the project! Timing the transitions just right, adding photos taken at different events during the year, picking the best questions from the interviews, and recording the voiceover for the start of the film—creating something for International House had become less of a challenge and more fun! When it was all finished I was grateful to have played even a small role in bringing other passionate people to International House’s cause. The completion of this AmeriCorps ACCESS video was the perfect end to my time as an Education Program Intern with this organization This project was exciting, challenging, and a fantastic learning experience all around! I can say the same of my volunteer experience as a whole. We’re accepting applications now for three AmeriCorps ACCESS positions for the 2015-2016 program year: English Tutoring Program Coordinator, Community Resources Navigator and ESL Education Coordinator. AmeriCorps is a ONE YEAR COMMITMENT to learn and serve. Part-time positions pay a small stipend; quarter-time positions do not. For all positions, AmeriCorps members will earn a monetary award for education expenses. APPLY IN JUNE! Consider it for yourself or refer a young adult. Get job descriptions here.